Healthy revenue is at the heart of any well-functioning health care entity; and whether you are in a facility or a physician’s office, healthy revenue is the life source that keeps us all afloat. The Revenue cycle and management of it includes everything from claims processing, payment, and revenue generation to patient registration and clinical documentation. In the simplest of terms, it is a health care organization’s financial circulatory system. It consists of any and all administrative and clinical functions that contribute to the capture, management and collection of revenue. 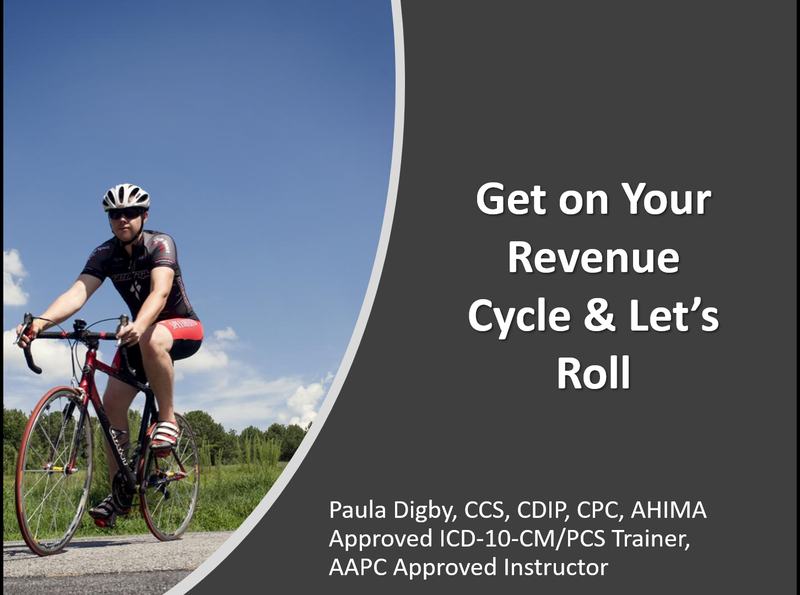 In this session we are going to guide you through the ins and outs of the revenue cycle so that you can get on top of your revenue cycle and roll towards healthier revenue. Describe the link between medical coding and multiple other departments within the Revenue Cycle. Be able to discuss the most common risky provider behaviors that cause the Revenue Cycle to slow or halt. This course authored by Paula Digby and Heather Bryans.